IFA3 Lite Preview v23 hotfix 2 release! IFA3 lite's latest hotfix 2 has been released! 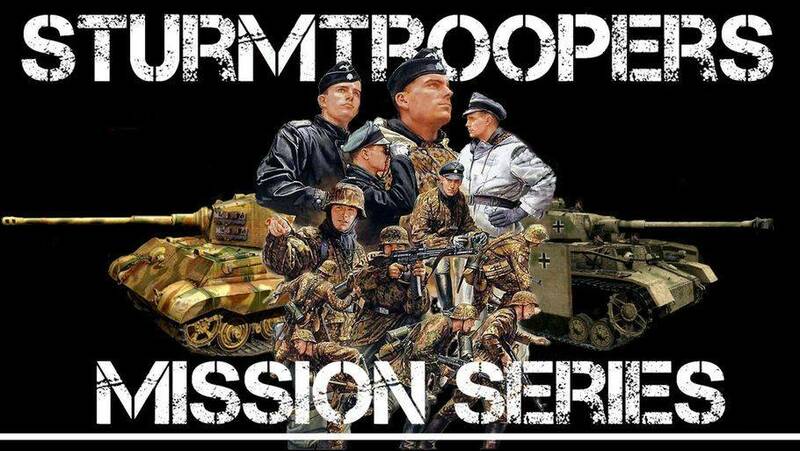 A new update for Major Mayhem's Sturmtrooper's Mission Series for Iron front. The IFA3 Lite Team have released a v23 of the IFA3 Lite Preview, the "Blitzkrieg Update". See the release thread for more details. The IFA3 Lite Team have released a new version of the IFA3 Lite Preview, the second hotfix for v22. Added: louder M1 Garand Ping sound variant for optics views and third person view. Improved: increased volumne of M1 Garand Ping sound for optics views and third person view. Fixed: missing variable renaming for static line eject script. Improved: static line coding further to work also with AI. Added: Jeep Scout Squad in Motorised group for US. Added: Created Light tank group with M3A3 Stuart Platoon and M8 Greyhound Patrol. Added: M4A3 76 Tank Platoon in Medium Tanks. Fixed: group setup for US Airborne. Fixed: missing faction tag in group name. Fixed: Missing closing bracket in cfgGroups. Fixed: GAZ M1 engine position in Extended HUD thanks to zhaleks. The IFA3 Lite Team have released a new version of the IFA3 Lite Preview, the first hotfix for v22. Fixed: missing I44 kostel2 textures. Fixed: removed obsolete cfgPatches classes and move them to backwards compatibility. Changed: unified parameter order in static line functions. The IFA3 Lite Team have released a new version of the IFA3 Lite Preview. New M1 Garand given by MajorBoggie! DeLisle Carbine from I44 reworked by Xeno! I44 Flamethrower effects by Homer Johnston! Winter and Desert GMC353 by GSTAVO! 10 new missions and 4 new mods have been added to the MR Workshop Collections. The IFA3 Lite Team have released a new version of the IFA3 Lite Preview, The 2nd hotfix for v21. Fixed: removed APEX dependency from Faction US showcase mission. Fixed: missing overviewPicture in Airdrop showcase. Fixed: faulty magazine in equipment of units for M1908 pistol. Fixed: SdKfz 251 had no ammunitions. Fixed: Prioritized 100rnd belts for tripod mounted MGs. Fixed: trenches shadows issue (converted to visualex sbsource). Fixed: LODs not ordered by face count - characters clothing. Improved: C-47 is less likely to dive when flying straight. Improved: overviewText in Airdrop showcase. Changed: tweaked and improved Airdrop showcase mission by Jaki. Changed: speaker from ENGB to ENG in Airdrop showcase. See the release thread for more details and download links. This addon changes the default recoil for many of Iron Front firearms. This does not include pistols. All changes are based on real Youtube videos from firing ranges, and the idea was to make recoil more realistic. - Rebalanced MP44 + changed the visual kickback (for some reason in @IFA3LITE it kicks as a horse, it's only a visual effect though, it didn't affect the recoil. - MG42 now supports 250 rounds magazines (which are actually 250 rounds belts, but the 3D model looks like a simple 50Rnd. magazine). fixed so that they can no longer bend in ridiculous ways, along with other various improvements. -Stiffness of ragdolls increased, prevents majority of knee joint issues. -Ragdoll collision with vehicles and physx objects has been enabled. - Performance - considering i have a duel core cpu, there are some mods that lag my game which have been removed. shooting a tank shell through my rifle. have a performance impact if overdone. Many other aspects overall concept of this version I call Run n gun realism. 7 new missions and 2 new mods have been added to the MR Workshop Collections. We are pleased to announce the release of our new version 3.2.0 of the GEIST for IFA3 Lite. This fix mainly fixes compatibility issues with the latest version of IFA3 Lite v21. ALL : Add national weapons. ALL : Add new flags. GER : Add StuG III German, Soviet and Polish versions. GER : Add PzKpfw IV Soviet and Polish versions. GER : Add headphones in the form of "glasses" for their visibility when a crew member is exposed. GER : Add OpelBlitz fuel. GER : Add OpelBlitz winter version. GER : Add Tank Panther. GER : Add Paradrop with Flarepistols and 3 Flares. GER : Add FSJ winter. GER : Add helmets FSJ. GER : Add uniforms Feldgrau winter version. GER : Add Kubelwagen with hood. FRA : Add M4A3 for RBFM representing a M10 Tank destroyer. FRA : Add M8 GreyHound. FRA : Add Jeep Willys & M3 Scout. FRA : Add uniforms RBFM. FRA : Add Caps & Helmets. FRA : Add Milice Française. FRA : Add beret RCC. GBR : Add Britsh paratrooper. USA : Add uniforms USA. USA : Add 3rd Armored Division. USA : Add tankistes 2nd Armored Division. USA : Add helmets pilots & tankists. The IFA3 Lite Team have released a new version of the IFA3 Lite Preview. The long awaited Airborne Update. Take a look at the highlights and changelog below while you are downloading. 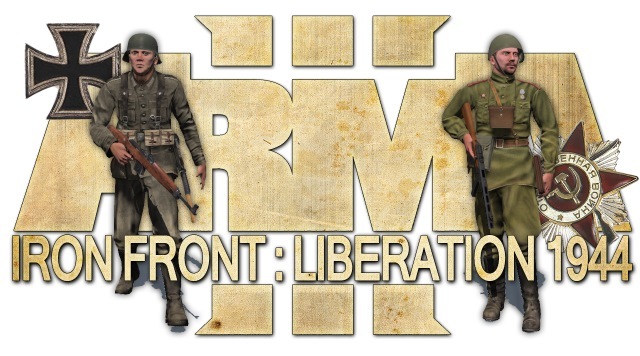 Major Mayhem released an update to his famous Sturmtroopers Series a campaign built for Iron front: Liberation 1944, in this update 6 new missions were added to the series, totalling 29 missions in the campaign. Campaign is for Coop play but can be played in Singleplayer. See the MR page for download and more details. See the release thread for details and videos. • Added: new infantry weapon sound framework by Megagoth1702, LAxemann and alex_fncypnts! • Added: PhysX simulation halftracks (fixes also the crash from collision with another PhysX object) thanks to Shvetz, El Tyranos, as well as some advice by RedPhoenix and reyhard! • Fixed: groups to work again in ZEUS (assigned side to individual groups as workaround - BI fix it! ). 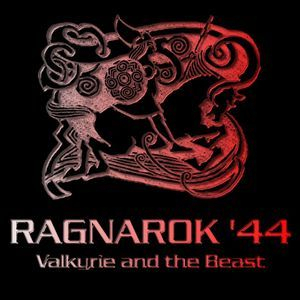 The Ragnarok '44 mission series has been updated. Some new missions have been added. with more detail, and its a new version because of the recent update to the mission mode, so stay tuned! See the release thread for details and a changelog. Changed: dropped duplicate data in favor of a CUP Terrains Core dependency. Updated: terrain lighting thanks to metalcraze. Changed: some terrain lighting parameters to make them less bright thanks to Taro. Added: winter US version of M4A3 Sherman by Lennard. Added: new US Tank crew variant + refactored original texture by Lennard. Added: DAK Spg uniforms by Lennard. Added: feldgrau Granatwerfer 34 texture. Changed: improved vegetation to A3 standards. Changed: improved terrain surface configuration. Changed: made vegetation, additional craters, buildings, objects and ponton bridges available in the Editor. Changed: made ponds and roads available for MapBuilder and X-Cam. Added: EditorPreview images to most remaining assets. Fixed: undesired clothing randomization for third party infantry. Added: some more HideFromEditor optional pbos (CUP Core content, A3 terrain objects, etc). The Ragnarok '44 mission series has been updated. A new mission, "Battle For Staszow" has been added. See the release thread for download and more details. Capture and defend the city from the Soviets, and eliminate their base! Mission ported from Ragnarok'44 from the IFA2 version. Full Converted IFA3 no longer supported! I am no longer supporting or hosting the files for the full converted verison of IFA3, or the vanilla patches for IF,they have all been deleted, and pages on the MR here have been deleted, I dont have them, and dont ask, where you can get them,or for my help in setting up and installing full IFA3. I'm happy that I was able to help the community for those couple of yrs but IFA3 Lite in my opinion is just better and worth the time, full version is nothing but a frustrating headache, so lastly get IFA3 Lite. A new version of "Ragnarok '44" for IFA3 has been released. After several months, Rydygier was able to get some freetime to Fix/update the issues in the mission. please note that there may still be some issues with the mission/mode so if you think you have run across any please report them on the release thread! Hopefully fixed. In fact, base managing AI was redone in some parts, for better, I hope. (when for any reason further flag is taken before actual targeted flag, reasons stay unclear so far). - Crows & flies over dead bodies to save performance.